But now? After Blair took another step toward the Big East player of the year award with a 20-point, 18-rebound performance in No. 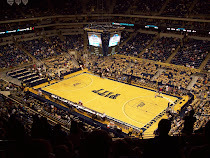 4 Pitt's 80-61 victory against DePaul last night at the Petersen Events Center? After he again showed why he belongs on the short list of national player of the year candidates? The question is very thinkable. Clearly, Blair will have a big decision to make after the season. That’s hard to ignore, and people who are suggesting Blair do that so he can improve his game and possibly climb to a lottery-pick level after his junior or senior season are missing a major point. Blair is a 6-foot-7 power player, and, as such, a tweener, even with his abnormal reach. He’s too small to dominate at center and not skilled or quick enough to handle small forward in the NBA. He’s likely a power forward, but an undersized one who would probably never be a great scorer. Here's an early mock draft with him going at #23 should he declare. I think an extra year would probably help him, but if he's a guaranteed first-rounder, you can't fault him for leaving. Frankly, I disagree with Smizik on this one, however. Plenty of players with DeJuan's problem of being undersized have been lottery players (i.e. see Robert Tractor Traylor as the #6 overall pick in the 1998 draft). To me, Blair's stock could definitely improve from a 20ish type pick to a lottery pick with another strong year. Should he come back, he'd have to be a favorite (if Blake Griffin leaves, possibly THE favorite) for National Player of the Year. 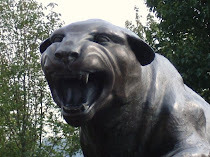 And if Pitt is unable to win a championship this year, you'd have to think he'd relish the opportunity of being THE guy to do it. I'm selfish as I'd like to see him stick around. Then again, if they win the national championship, I don't think people would care much if he left.